Jennifer Jilks is an Ottawa school teacher now living in beautiful Bala, Ontario. She’s over 50 and that’s a huge niche right there. She’s also a travel expert, wildlife photographer, hiker, and blogger who posts twice a week about a special little part of Canada called Muskoka. My Muskoka cottage blog is an inside look at life in five Northern Ontario towns including Bala, Bracebridge, Gravenhurst , Huntsville, and Port Carling. She also chronicles the changing seasons as reflected in the shorelines of the Muskoka lakes. Jennifer Jilks is fifty two years old. Before living in Bala she taught school for twenty five years in Ottawa while raising three kids – now her children are adults, and they are all remarkably different. They are all professionals. Jennifer’s daughter is a hydrogeologist and married to green party candidate Jean Luc Cooke. Her second child is a gifted actor, and the youngest boy is a government statistician. 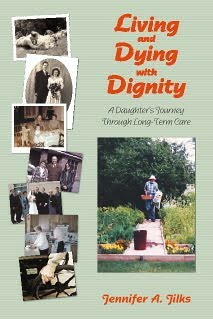 Living and Dying with Dignity, a daughter/caregiver’s point of view. 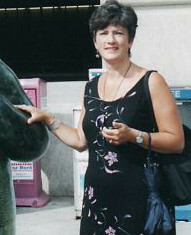 She writes here that ‘My mother’s cancer, dad’s brain tumour and dementia changed my life. The book includes information, research, as well as coping strategies from real life experiences.’ And now suddenly we understand what drove her to start this blogspot. It wasn’t fame, or a marketing assignment, or a creative outlet for her photography, but an expression of true self. This woman hopes to share her healing with readers. Jennifer is a Muskoka Hospice worker and the experience of helping people living and dying with dignity rings like a bell and resonate through her life’s work. Indeed her continued care giving and volunteer work at the hospice gives her existence meaning and adds value to her perspective on life in Muskoka. In addition to chronicling the adventures of her three cats, Jenn’s blog images waterfowl, wildflowers and rodents in high quality photographs. She submits her pictures to a camera critters blog and to a popular Ontario photo contest website and it was through Lenzr that she first came to my attention. In late November 2009 Jenn_Jilks compiled a beautiful array of breathtaking photos, with multiple entries in all three web challenges. Today Mrs Jilks understands the explosive power of blogging. She learned the hard way after posting a series of well researched articles detailing the political, economic and social implications of the Bala Falls hydro electric project. She generated sixteen comments with a particularly contentious post on the bala hydro electric project in the fall of 2008 where she was accused of being a puppet for Dalton McGuinty. Fortunately other bloggers came to her rescue. Jenn’s site is at the center of a local blog ring that doesn’t have a badge yet, but the members appear in an earlier post. 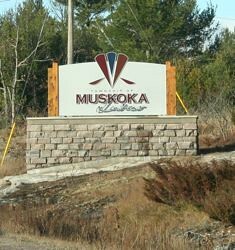 Muskoka Bloggers is a list she updates frequently and links to in her sidebar. Last summer, Jennifer Jilks did her civic duty and published a piece on the 2009 drowning in Bala explaining the water currents better than news media. Jenn lives in the Township of Muskoka Lakes and in one posts she took it upon herself to debunk the The Myths of Muskoka. My Muskoka blog is already publishing original stories about the 2010 G8 Summit’s impact to ‘locals’ in Hunstville and surrounding towns. My Muskoka is a very credible citizen journalist, a passionate photographer, and a writer with a soul living inside Ontario’s premier Muskoka cottage country travel destination.